VSAT earth station for WINDS, which was installed in Iruma Camp just after the Great East Japan Earthquake by NICT. 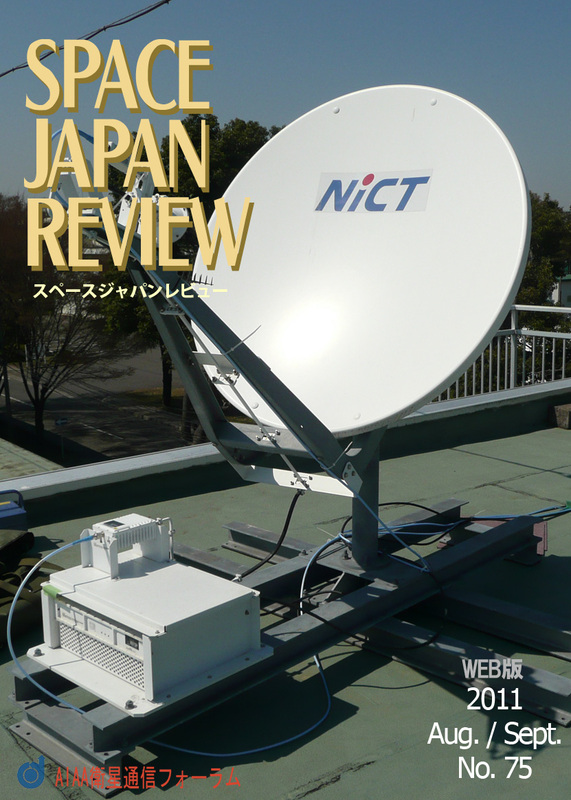 (R&D) on satellite communication, especially for national security. This is why we step forward in the 21st century of the chaos which was determined by the terrorist attacks to the U.S.A. on September 11, 2001, and in order to deal in a century of chaos, R&D of national security, especially satellite communications becomes particularly more and more important. On that occasion, an R&D methodology in general R&D as well as one of satellite communications is argued based on experience of the management of Communications Research Laboratory of the author's former job. Therefore, the content may be based on the author's own dogmatism and prejudice, but please forgive me because of an opinion column. At this series No. 1, because it is natural to aim at a world's best study for competition predominance when the study is pushed forward, the method for such a purpose is discussed. In this paper, it is considered what attitude researchers should have to do study and what study they should do, after competition dominance and innovation are considered. Finally, it is intended to show start of argument what kind of revision should be given to the study management due to the last East Japan Great Earthquake Disaster on March 11, 2011. In the following, there may be some mixed descriptions for young people and/or senior ones charged of the management, but, such descriptions should be understood that young people will become senior. Tyler Cowen: "The Great Stagnation", Penguin, 2010. This book was introduced into an economic commentary in the Nikkei Shimbun Newspaper on March 7, 2011 , and this book seems to be "the hottest economic book" for persons concerned with the U.S. policy formation and the economic press. A related discussion seems to be performed in Web flourishingly afterwards. Then the reason why it is taken up in this column is because there is a description of technological innovation policy and space development, although the effect of space development is described to be relatively negative. Let's introduce it now.